Chances are, if you are a young adult between the ages 16 and 28 (give or take a few years), you have probably illegally downloaded something in your lifetime. In fact, in music alone, almost 30 billion songs were illegally downloaded between 2004 and 2009, and that number has skyrocketed since then. While most file sharing happens for music, more and more media is being downloaded everyday. Things like movies, books, tv shows, anything and everything that people can get their hands on. In this blog I’m going to look at the cons of illegal file sharing and give you some places where you can get all sorts of media for a low price. I think the most obvious con is the fact that file sharing is stealing. Just like going to Walmart and taking a movie directly off the shelf, illegally downloading a movie or cd online is exactly the same thing. I’m assuming you would like to make a living off of the things you do everyday. 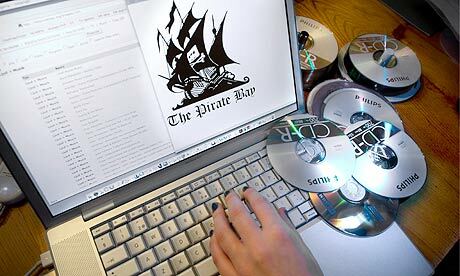 Illegal file sharing takes away money from the person who created that media. Someone who has bills, a family, and just wants to make a decent living doing something they love. 3. It can give your computer viruses. Just like anything illegal online, file sharing can put viruses on your computer that could cause you problems in the long run. Even if you think your safe, chances are illegally downloading things has already done something unwanted to your computer. Companies are more and more cracking down on people who illegally take music and movies. These penalties include up to five years in jail, legal fees and damages, and up to $150,000 fine per file downloaded. Think about that the next time you try to steal a Taylor Swift album. Not all file sharing is bad. One of the best things about the internet is the fact that has made all media more readily available and cheaper for everyone. There are so many good and legal websites online that offer media at pretty cheap prices. Noisetrade is an awesome website that allows artists to put they’re music out to the public, and you choose what you pay for it. Almost everything on there is free, and you as the consumer choose if you want to donate any money or not. The most obvious music sharing application is Spotify. Spotify has millions of albums, and you can listen to all of them for free. If you want to avoid the commercials, its just $10 a month, or $5 with a valid student email. If you don’t know about Netflix yet, you’ve probably been living under a rock. Netflix offers hundreds of movies and tv shows for only $7.99 a month. Skip out on the one pizza a month and get Netflix instead. Hulu has all of your favorite tv shows, all in one place, and it updates within 4-7 days after a new episode comes out. You could binge watch every season of Bob’s Burgers for around $7.99 a month. For any of you who wants to watch live tv, including ESPN, Sling is the perfect streaming service for you. Plans start at $20 a month, and you can add other packages to get anything you could want out of live tv. The top dog of all streaming services is Amazon Prime. Including everything from books, tv shows, movies, music, and free 2 day shipping on all Amazon orders, Amazon Prime offers just about any media service you are looking for. Coming in at around $70 a year, or $50 for college students, this is the best way to get all sorts of media at a low price. With Christmas coming up, it would be a perfect gift to ask for. So many people work extremely hard to make a living for themselves and their families off of the media you consume. Stealing their hard work is an awful way to show your appreciation for the great entertainment they create.